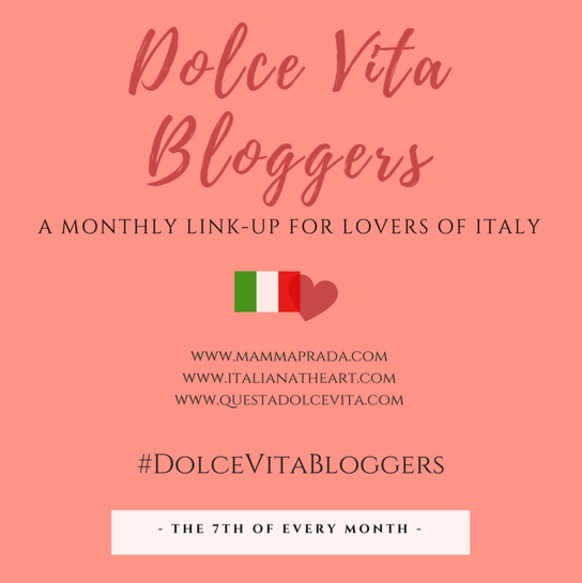 This month at Dolce Vita Bloggers we're writing about our Perfect Day in Italy. It's so hard to pick just one idea or one day as so many different perfect things seem to happen when you're in Italia. What I love is the amount of spontaneous moments you tend to have here. Is it because you're on holiday? Down to the people you're with or just the nature of Italy that everything is that little bit more flexible? I've decided to write about one of my perfect spontaneous moments that has made my time in Italy memorable. In Italy or the UK I love a wedding, but this particular one stands out as it became a matter of stamina to see if you could survive! I don't think I have traveled or eaten so much in 24 hours! We went to a beautiful wedding in Trieste, there was as usual a considerable amount of food at the wedding. So much that I started worry that I'd worn the wrong dress! I needed something bigger, more flowing and able to cope with all the courses! However after the wedding I was not at expecting to go back to our accommodation change and head out with other guests for pizza! I was so full I couldn't understand how all these very slim people were going to fit in more food! But this is what we did! It was a great evening. It went on until pretty late and we all headed back to our hotel. The next morning I wasn't feeling hungry at all but then we all met for breakfast in the hotel. That was when we would all go our separate ways.... or so I thought! However we weren't going back to Milan! No we were off to Palmanova a historic star fort town. Really stunning and I'm so pleased we went but the weekend seemed to be turning into one long random series of events! If you have the chance to visit Palmanova do, it's such a unique place and one of the UNESCO World Heritage sites. After Palmaonova even my Italian Husband was getting weary but there was an idea flowing around that maybe, just maybe, we should head for Verona instead! Having never been I felt like it was too big a chance to pass up but I wasn't sure how we were going to cram more into this trip when we still had a flight to London to get to by the end of the day - and from Milan not Verona! But when in Rome... or Verona in this case why not?! So off we went! I saw Juliet's balcony and some of the main sites being the tourist that I was. Of course one thing kept cropping up in conversation... It was lunchtime and we clearly could not leave for Milan without solving this problem! So we all went for lunch in Verona! I could barely eat by this point and was very glad to be finally getting in the car and going home! It was a perfect weekend, seeing our lovely friends get married. Spending time with my Husband's oldest buddies. Going on a road trip to places I wouldn't have experienced otherwise. It was one of those moments when there is the fun of being in a group, at a time in our lives when nothing mattered except following our whims and stomachs! I hope you enjoyed my Italian road trip memory! What crazy things have happened to you when traveling?